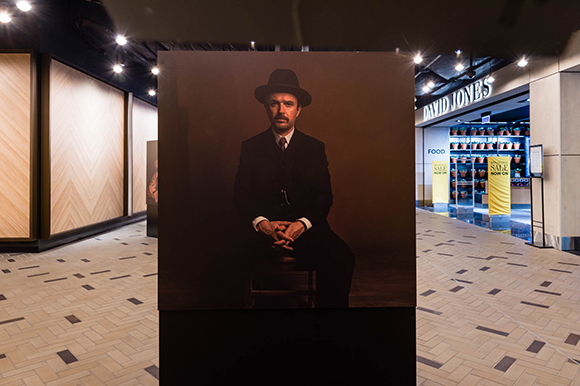 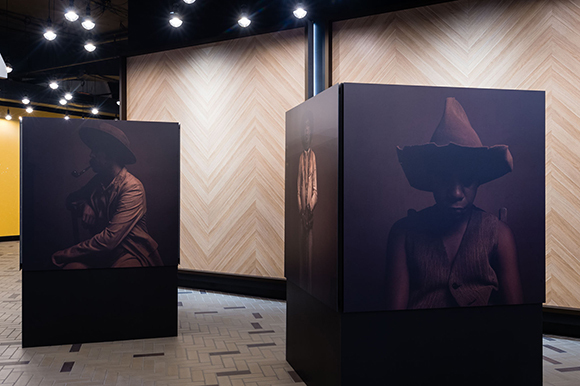 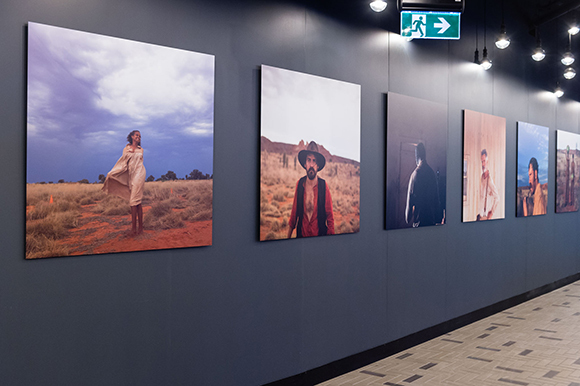 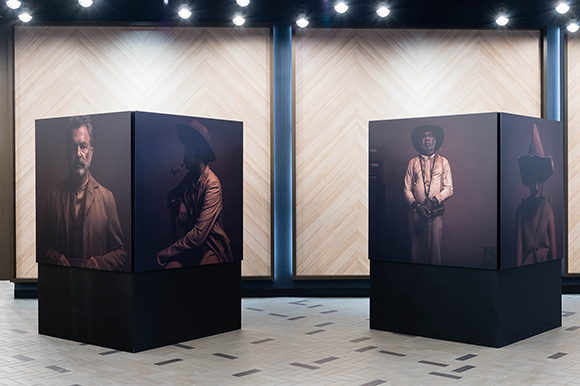 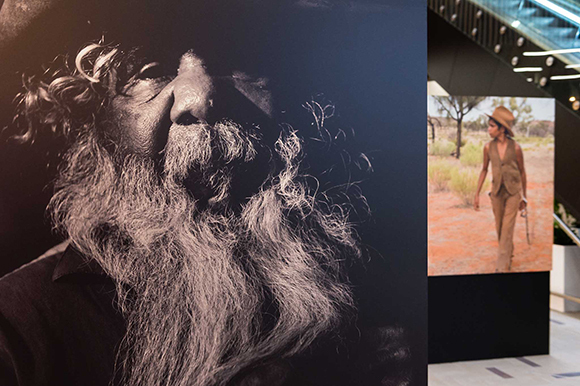 Building on the worldwide success of the Australian film Sweet Country, a public art initiative – the Sweet Country Stills Exhibition– was developed to showcase behind the scenes photographs taken by four on-set stills photographers. 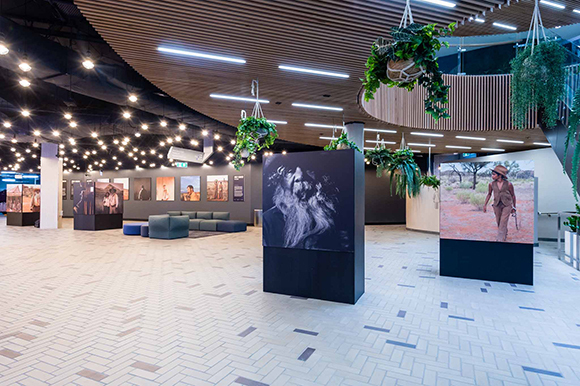 The resulting images (from the cameras of Warwick Baker, Michael Corridore, Tamara Dean and Mark Rogers) were first exhibited at Darling Quarter’s OPEN, then extended in scope and duration for a regional showing at Wollongong Central during March and April. 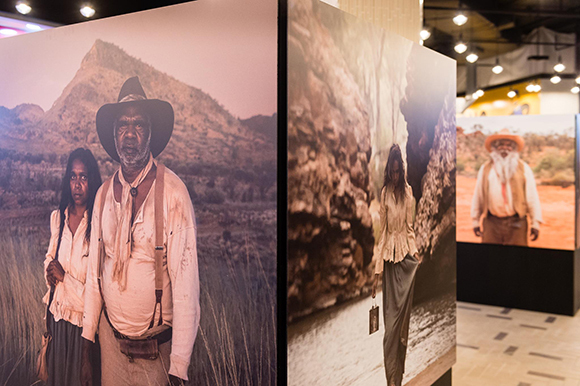 At Wollongong Central the exhibition consisted of 30 photographs of both the actors and the desert landscape, taken in Alice Springs during the making of the film. 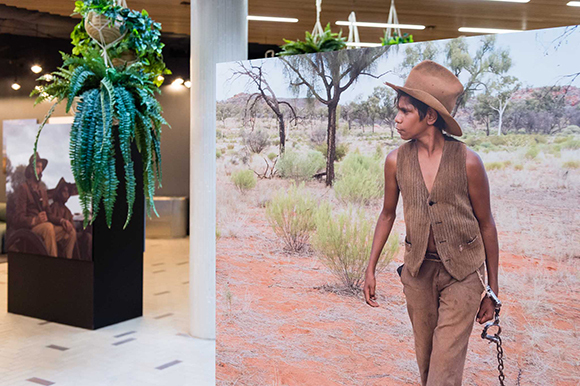 Directed by acclaimed Indigenous Australian filmmaker Warwick Thornton, SweetCountryis an intense period western set in outback Northern Territory in 1929 and tells the story of an Aboriginal man on the run after killing a white man in self-defence. 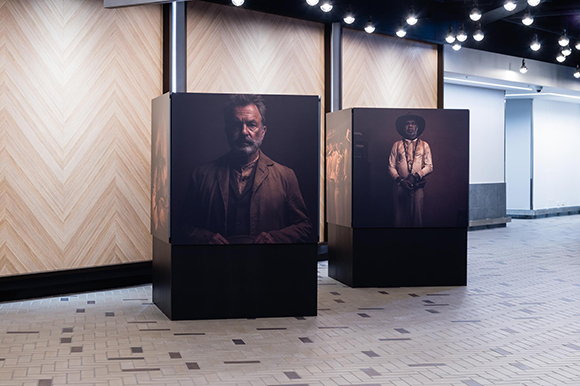 There are powerful performances from Indigenous actors Hamilton Morris, Natassia Gorey-Furber, and Tremayne and Trevon Doolan, plus well-known actors Bryan Brown and Sam Neill. 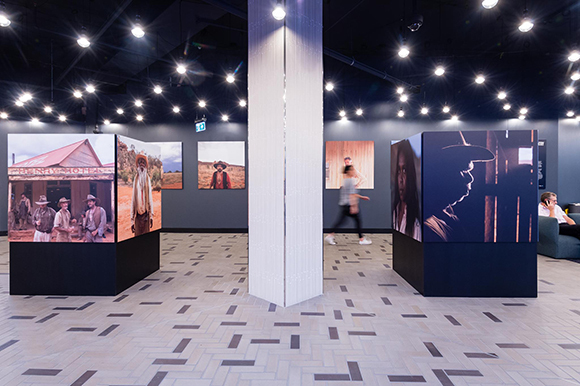 and produced by aMBUSH Gallery.